We care about making a difference to people in our community and that’s why we’ve teamed up with local charity Shipston Home Nursing, who do a wonderful job of helping people in need, to stay in their homes. Alderminster Group is a local family business of expert electricial contractors, operating for over 30 years now. We help homeowners, small businesses, charities and large companies with a personal and friendly service. As well as testing and fitting electrical supplies, we supply and fit solar panels, air source heat pumps (ASHP), networking systems, intelligent heating and more. We are based in Shipston on Stour and work across Warwickshire, Oxfordshire and Gloucestershire. We love to work in our local area in Shipston-on-Stour and Leamington. The Fosse Way is our corridor, and we regularly visit the Cotswolds too. 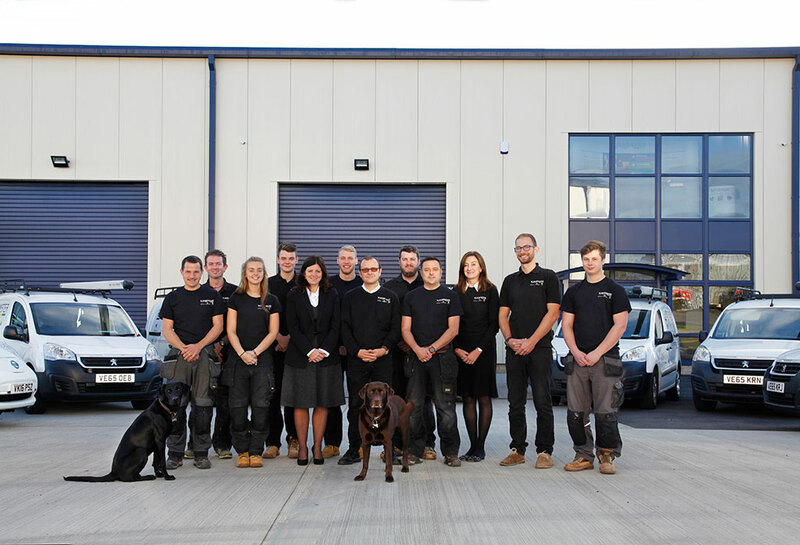 The Alderminster team of electricians are all fully qualified, and the team includes apprentices. Employing and training young people to learn the trade has been one of our core beliefs since the beginning. We care about our community and our people – our team’s and our customers’ happiness is central to everything we do.